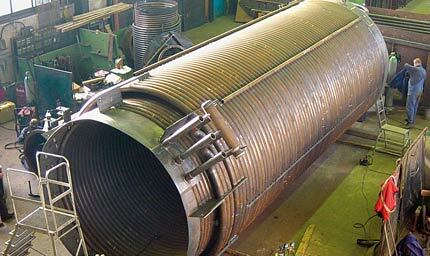 The ISW GmbH is an experienced and reliable manufacturing operation in the boiler, container, steel and pipeline construction. To our performance include the making of Thermal Oil Heaters for land plants and sea-going vessels, frames and containers, pumps and control groups. The piping of industrial plants is also part of our services. A new production hall was built on the premises of ISW GmbH. The new hall has a movable roof, the ridge height is approximately 12 meters. 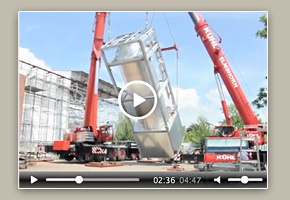 Thanks to that ISW GmbH is now in the position to carry out giant boiler construction with a height of max. 12 meters and a diameter of about 5 meters.